We're open year-round (weather permitting) and we're pet friendly! All sites are available for reservations. Reservations are recommended but not required. Arrivals after hours are to check the site map on the office door for available spots and after hour reserved spots. Check in and check out is 12pm. Late arrivals will have a note on the office door with further instructions. Click here for our rules and regulations. 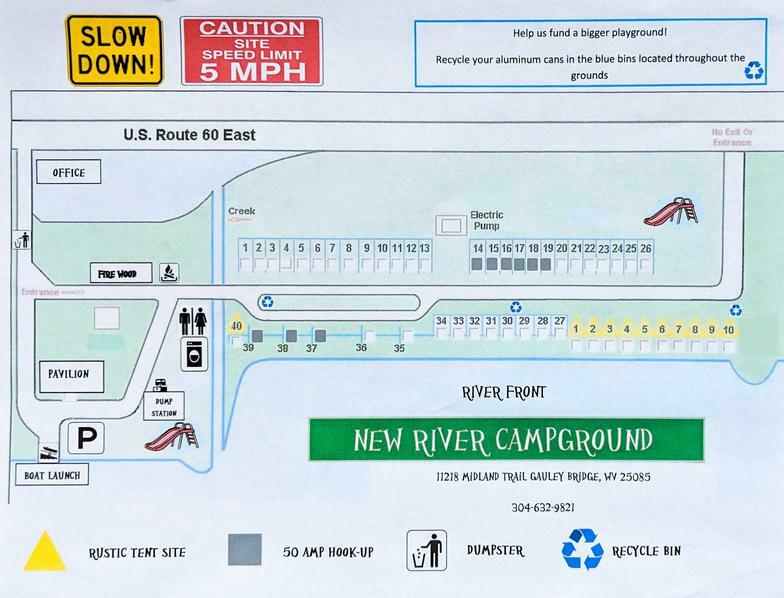 Click here for site map. We accept cash, check, and credit cards (Mastercard, Visa, Discover, American Express). There will be a $30 charge on all returned checks (NSF). NO REFUNDS OR RESCHEDULES for failure to show, early departure, or bad weather. Failure to show on your reserved date will result in forfeiture of your reserved site. Management reserves the right to select clientele and visitors and the right to limit the number of visitors and/or vehicles per campsite. We are not responsible for accident, injury, or loss of money and/or valuables of any kind. 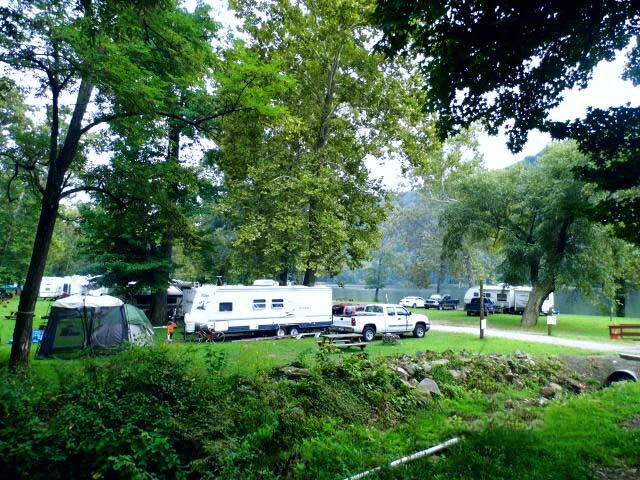 All campers are welcome to bring guests and visitors to their campsite. Campsites are limited to 2 vehicles per site. All additional vehicles and/or guest vehicles must be parked in overflow parking located by the boat launch. All guests and visitors are required to obtain a parking pass at the office at time of arrival. Pets are welcome at New River Campground! For the safety and comfort of all of our guests, please keep your dog on a leash and pick up after your pet.